Welcome! The members and staff at Trinity welcome you to our church family! Service Times: Morning worship is at 10:15 am. 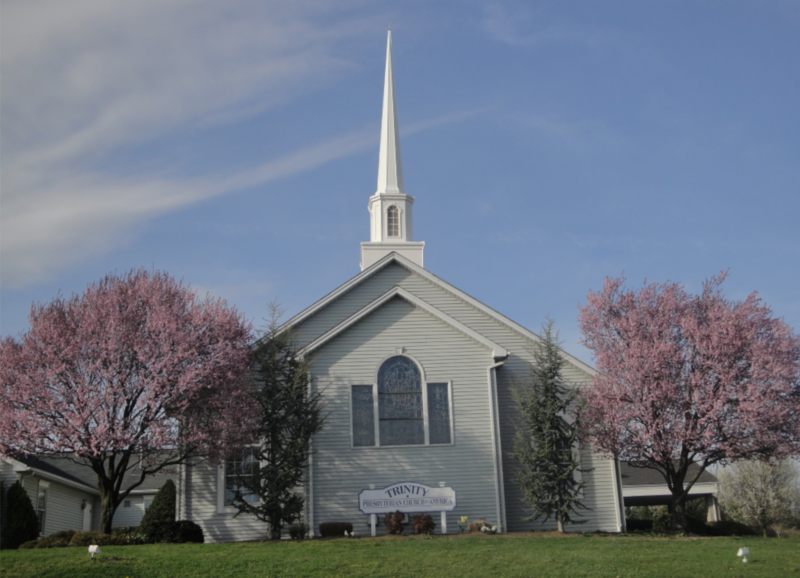 Evening Worship is at 6:00 pm (except for national holidays and some other occasions. Please check the calendar link). Sunday School is held at 9:00 am. Most folks wear either casual dress or business casual for the services and other church functions. Trinity encourages families to worship together even from the youngest of ages. We make available a glassed in “cry room” if parents would like to use it for infants and as they train young children in worship. Nursery and Junior Church are options for those who desire to use them. A nursery is available for infants through 3 years in Room 101 & Room 103. Parents, please pick up your children immediately after the worship service. Service Types and Musical Tradition: The preaching is a traditional, expository format, featuring the Bible. 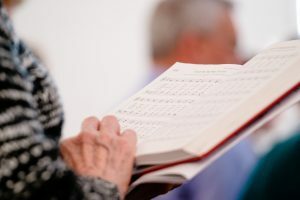 Trinity uses the “Trinity Hymnal” and other contemporary music for worship. Choirs, organ, piano, brass, hand bells, guitars, strings and occasional soloists and guest musicians enhance our worship of God. Communion: We celebrate communion on the 1st Sunday morning and 3rd Sunday evening of each month. See bulletin for more information. Middle School and High School Youth Bible Classes. Topics vary by quarter. Classrooms are on the 2nd Floor. Children’s Bible Classes. Topics vary by age. Rooms are located on the first floor and second floor. See the signs located throughout the building. Newborn to Three Years: Nursery care is provided during the Sunday School time in the nursery wing, which is off the main lobby. For the specific classes see “Sunday School” under the ministries drop down menu. Parking: We have ample parking. There are spaces for persons with disabilities near the main entrance and near the gym. Room Designations: All rooms are labeled. Rooms on the ground floor are numbered in the 100’s. Rooms on the 2nd floor are numbered in the 200’s. Rooms in the basement level are numbered “B-#”. Restroom s: On the first floor, the restrooms are adjacent to the main lobby and next to the elevator. On the second floor and basement levels, the restrooms are located near the elevator. 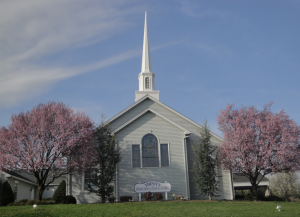 Ministries of the Church: To see a sampling of the ministries of Trinity Presbyterian Church, click on the “Ministries” tab.